HOMELESS: The photo that sparked a thousand comments. 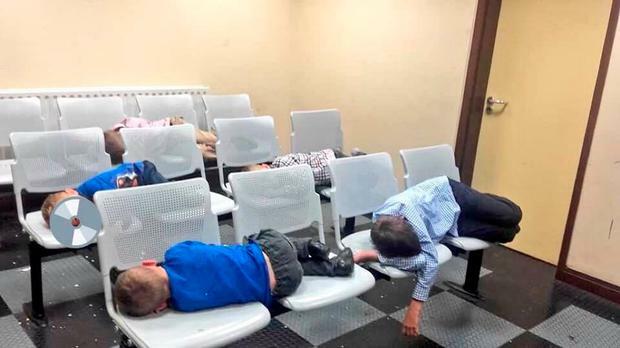 It was the reaction to the photograph that proved most revealing: children asleep on plastic chairs under the bright lights of a garda station, with no home to go to. Not the reaction of politicians, because that is predictable, but the general public. And it is this reaction which feeds political discourse and quietly informs public policy. Do nothing, or little enough. Let the financial markets sort it out.